Happy Birthday Habitat; the story of a little brown teapot. 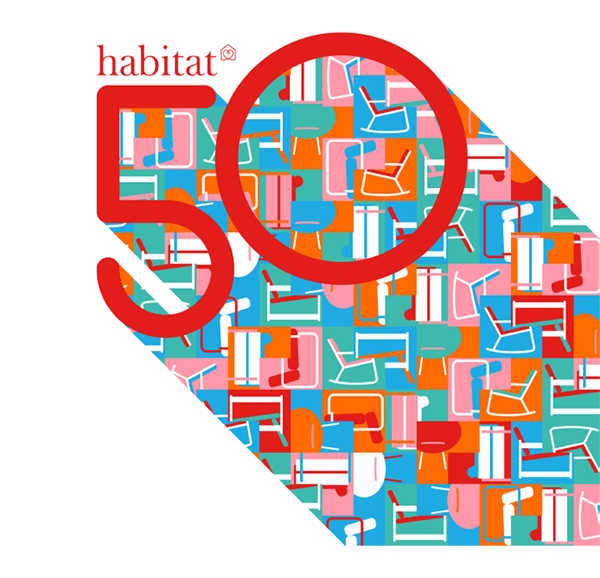 In case you’ve missed it in the news Habitat celebrated its 50th birthday this May and commissioned artist James Joyce to create this 50th birthday logo. For those of us born in the 1960s Habitat was the store that changed the way we wanted to live. Their designs represented the new and exciting, clean yet exotic and oh so very different from the homes we had grown up in. From the chicken brick to the ‘Continental’ quilt, the paper moon lampshade to the garlic press we all yearned to live surrounded by these simple and well designed objects. 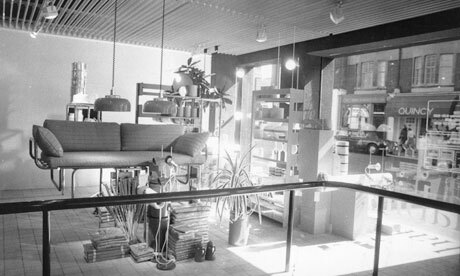 My first encounter with Habitat was by accident on a visit to London in the 1970s, as I turned the corner I was confronted by what seemed to be the most elegant and sophisticated shop I had ever seen. Dragging my hapless parents inside I was hooked and my love affair with design began. Oh and the Brown Betty Teapot, well it was all I could afford with my pocket money on that first visit. It became a symbol of my teenage aspirations and was carefully packed years later when I moved to London to start at university. It made a very good cup of tea.